Grand Admiral Thrawn is one of the single best characters in the whole game. From his leadership, his Ebb and Flow unique, his turn-meter and protection-increasing special, and his monstrously effective Fracture attack, Thrawn fits into nearly any team and has been part of the Arena meta since his introduction. Outside of Arena, Thrawn is pivotal in the Pit Raid, HAAT, and now Heroic STR. A superior character like Thrawn deserves a superior event. That said, Thrawn’s Artist of War Legendary Event will severely test every player who desires Thrawn at 7*. This guide aims to break down the required characters, the necessary gear, the specifics of the battles, and the details of how RNG factor into the event. Gear 8 is the absolute minimum. Completion with G7 is severely atypical. Event is entirely RNG-dependent. Plan for many attempts. 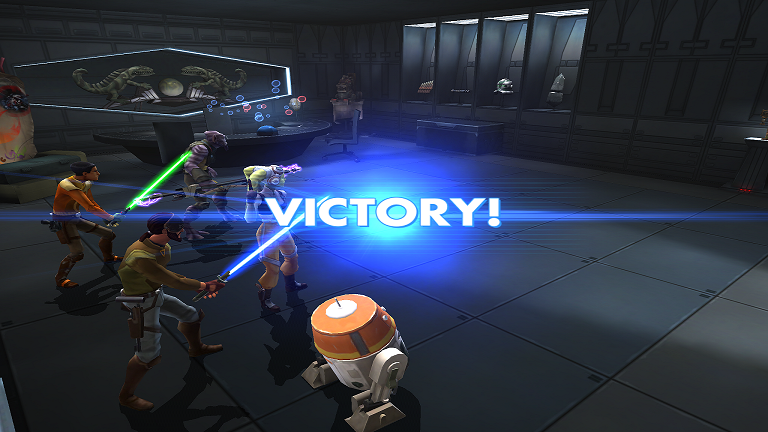 The Artist of War event requires Phoenix characters and, while there are six total members of the faction, the best team for the event is: Hera-Lead, Kanan, Zeb, Ezra, and Chopper. Sabine is one of the stronger members of the Phoenix faction, but for the purposes of this event, Chopper and Ezra are absolutely needed, while Kanan and Zeb should be considered required. Hera is the only Phoenix lead; without Hera’s lead, the Phoenix Squadron will not function. 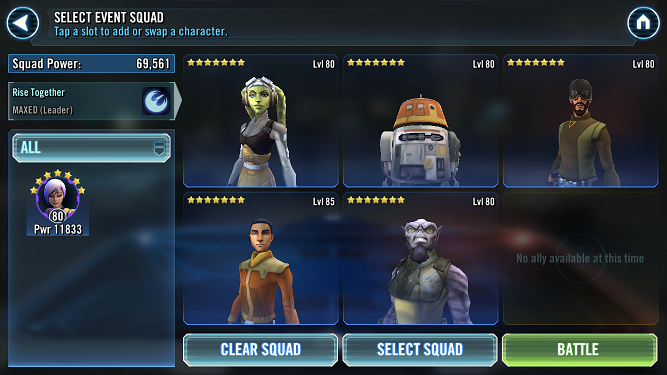 The best (and least frustrating) method of completing the Artist of War event is through using a team of five 7* Gear 10+ Phoenix Squadron members with all Unique abilities and Omega level and Hera’s lead at Omega. Gearing Phoenix, however, requires a lot of high-level and difficult to attain gear to gear each member above Gear 8. 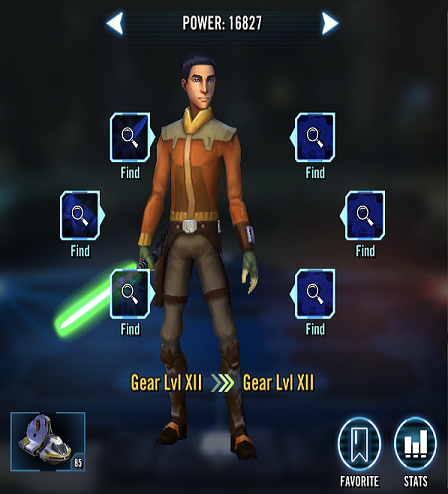 Mainly, several full pieces of gear that are retrieved from high-level LS/DS nodes or from raids, such as Carbanti, Stun Guns, Stun Cuffs, Holo Projectors, Syringes, and Droid Callers. While all characters eventually require the same pieces, few characters outside of Phoenix require the same amounts of each piece nor require multiples at as low as Gear 8. Even with 7* G10 Phoenix team members, the event will still be very difficult to time and master appropriately. All this notwithstanding, it is not necessary to use Gear 10, 11, or 12 characters and the Artist of War event can be completed with 7* G8 Phoenix team members…with A LOT of patience. Further break down of gearing Phoenix to G8, G9, and G10 is available here. In short, gearing Phoenix to G10+ to reduce some of the RNG needed for the event will requires as much patient planning as powering through the event at just Gear 8 for all Phoenix.